Richard and Melody Hudson built Hudson’s General Store in 1990, just a year or so after Melody’s mother, “Nana Anne” found the property for them! Melody had followed in Nana’s footsteps as an antique dealer, and the Hudson’s dream was to have a shop of their own… so when they bought the property, Richard picked up his hammer! 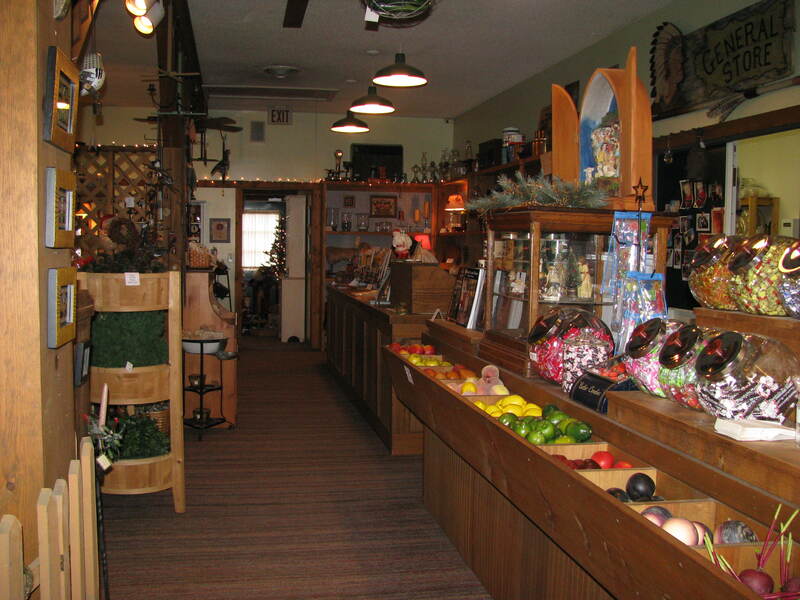 Over the past 19 years, Hudson’s has grown into a “destination”… a filled to the brim country store, filled with primitive antiques, American folk art, reproduction furniture, home decor, and wonderful gifts. Stopping in at Hudson’s in like stepping back in time. You’re very likely to run into more than one generation here, and on most days we’re entertaining some our very special friends, neighbors, and customers… or they might be entertaining us! Stop in for your “Hudson Fix” today… we’ve got the tea water on!